Truckers travel from coast to coast on ancient roads full of legends. In the spirit of Halloween I’ve compiled a list of some of the more well known haunted roads from trucker ghost stories. The story here involves a witch and her victims. Beaula is a witch believed to have hung her children and herself from Bloods Point Bridge. It is said she roams the road looking for something or someone. You first notice the smell of decomposing human flesh before you see her and the sudden urge to puke stops you from running away. It is also said that a school bus full of children crashed on the same bridge Beaula had hung herself. The cries of suffering children can be heard at the deep hours of the night. Archer Avenue is home to two cemeteries on each end and of ghost monks. The road was built by people who lived in a town nearby that disappeared mysteriously without a trace. The monks are thought to be from this town. They have been spotted walking through the cemetery at late hours of the night; they vanish once anyone tries to get close. This road is haunted by a little boy who throws your coin back if you toss it over the bridge. Some say the boy was hit by a car others say he drowned. The surrounding woods of Dead Man’s Road are said to be a gathering place for satanists, witches, and the Ku Klux Klan. The road was commonly used by truck drivers hauling potatoes out of Maine before the construction of Interstate 95. 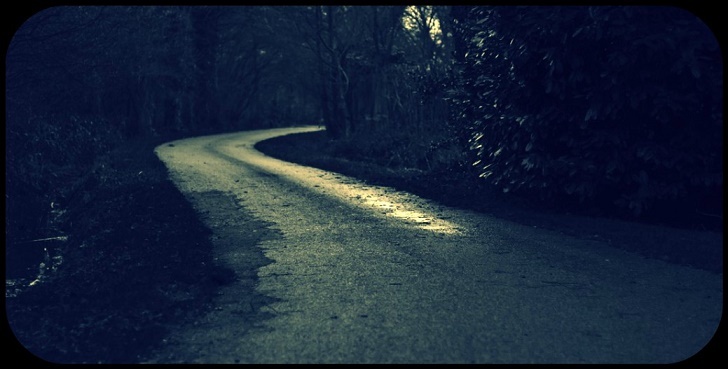 Since then Haynesville Woods has been the place of many fatal accidents inspiring the song “A Tombstone Every Mile.” The most notorious ghost that haunts this road is of a woman that is seen walking along side the road seemingly injured. When offered a ride the woman accepts and lets them know her and husband had been involved in a car accident and need help. Upon nearing the end of the road the woman vanishes. According to legend the woman and her husband had been driving down the road when the car struck a utility pole killing the husband instantly. The woman managed to get out of the car but she died some time after being exposed to the cold. Have any ghost stories to add? Join the conversation and follow us on Twitter or Facebook. Should You File For Heavy Highway Vehicle Use Tax Return?